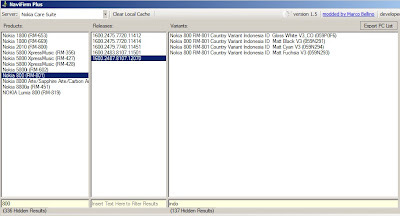 Start from 28 March 2012, Nokia start the rolling out The new firmware 1600.2487.8107.12070 for Nokia Lumia 800. 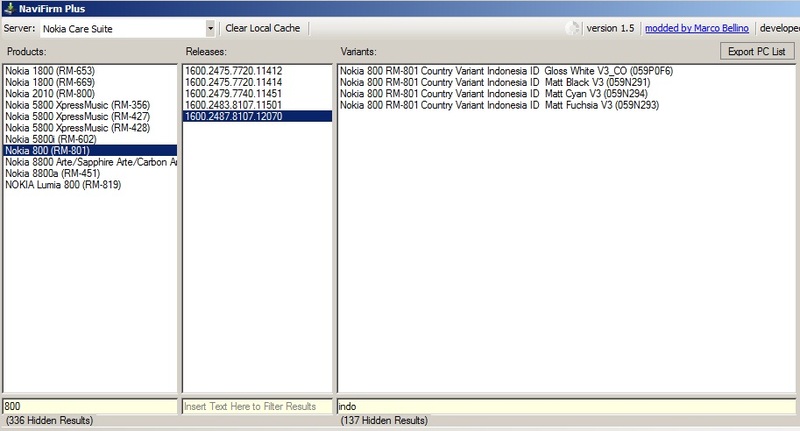 This "early" update will be available for all region within 28 March, 4 April, 11 April and 18 April 2012. 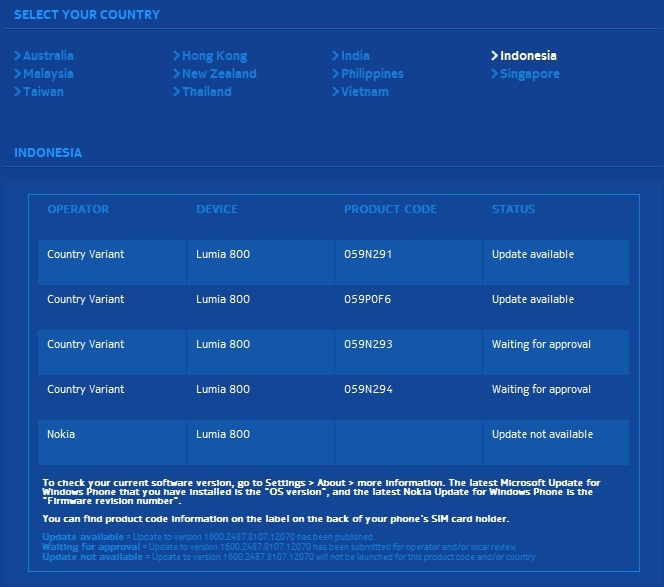 In Indonesia, as per 28 March 2012, This firmware update is available for Nokia Lumia 800 Production code 059N291 (Black) and 059P0F6 (White). 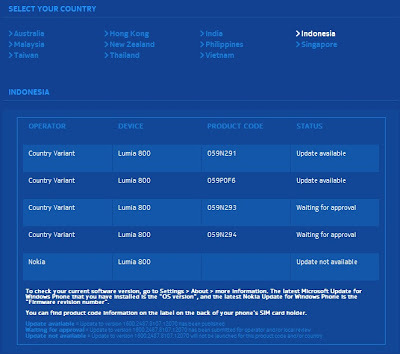 Based on "Software Availibilty Information" page, for others production e.g 059N293 (Fuchsia) and 059N294 (Cyan) the update still "waiting for approval"
"This software version for the Lumia 800 (1600.2487.8107.12070) brings significant improvements in battery performance and power management. Originally scheduled for 18 April, we’ve now managed to bring the schedule forward." 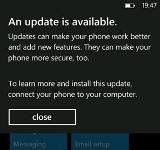 are all updates for Lumia 800 available for Lumia 710 as well? What the heck: beda warna = beda system = beda approval? ?